In today�s demanding studio environment, the right set of headphones can make or break your performance. You need high quality and superb frequency response to insure you get the best results from your recordings. 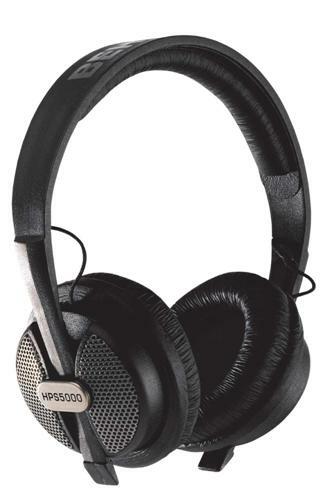 The HPS5000 studio headphones were custom designed to meet and exceed the expectations of the most discerning audiophiles, bringing out pure listening performance by providing an ultra-wide frequency response, well defined bass and super-transparent highs. Their high-efficiency cobalt capsules, a single-sided cord with oxygen-free copper wires and optimized oval-shaped ear cups make the HPS5000 a truly studio-worthy set of headphones.